Here we have a very successful, high volume Seafood Buffet and all you can eat Sushi restaurant with a great lease and location. It is across the street from two newly renovated mall areas with major anchors and established neighborhoods. The inside square footage is 8,489 square feet at an unbelievable $.97/foot. The cams are only an additional $.19/foot. This is an amazingly low cost for an establishment of this size. There is 7 years remaining on this lease and two additional 5 year extensions...this is set up to be a legacy location. The monthly gross is approx $100,000 and is supported by 250 seats inside and 50 parking spaces to facilitate the flow of the business. 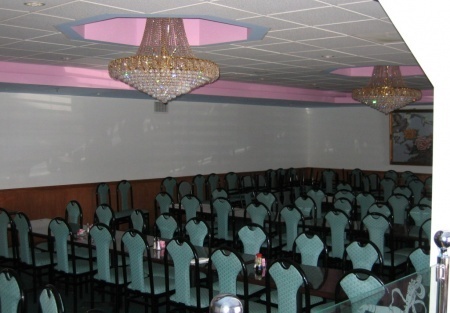 When you look at the pictures you will see how the build-out is designed to move the customers through multiple buffet tables and into the seating area or back to the large banquet room. The pictures show a huge kitchen with multiple hoods and substantial storage. Walk in refrigeration and a huge dishwashing station round out the complete production facility that makes-up the kitchen. A qualified and experienced Manager and Chef keep this absentee facility running at full speed. Take the next step to register and complete the online confidentiality agreement to get the restaurant name and address. Also you'll be given previews to our new listings in the future, giving you the greatest chance to �scoop in� the best opportunities as they become available. This is a Paramount Restaurant Brokers, Inc. DBA SellingRestaurants.com listing. Every day 11am to 9pm.